These microplates are convenient, easy-to-clean, and flexible. 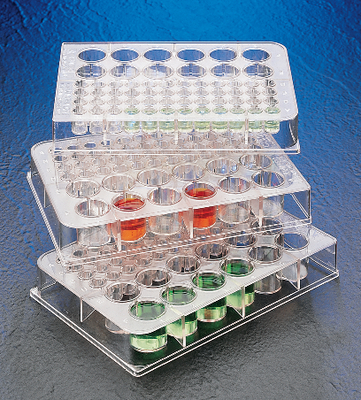 These microplates replace standard test tubes and beakers. The dual-well plates are made of high-quality polystyrene and have 12 large wells and 48 small wells. They are not for use with organic solvents.